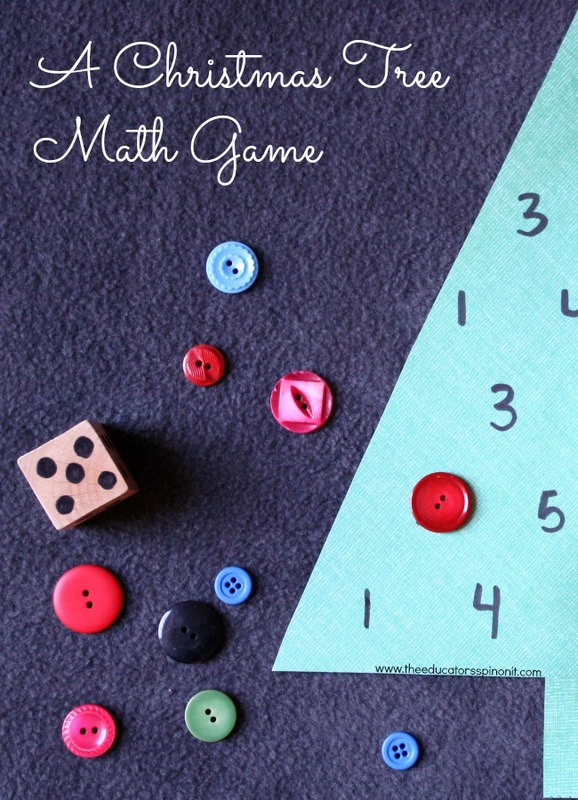 Fun Math Games with Christmas Trees! We like to make math FUN for kids. 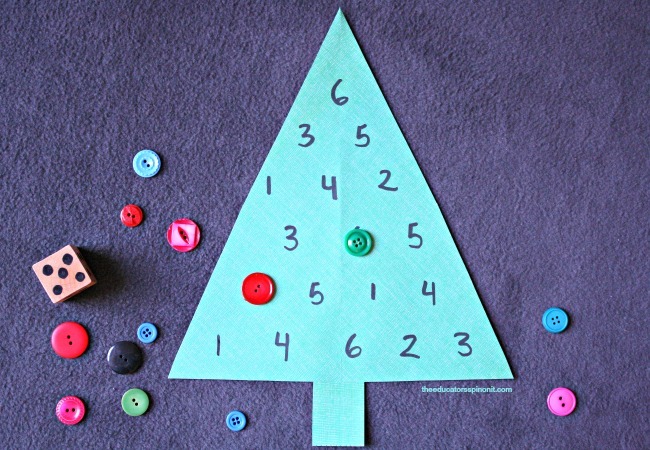 This fun math game with Christmas Trees is easy to make and play. In less than 5 minutes you will have a hands-on learning game for kids to play. Activity Extensions included for advanced learners. Lesson Objectives: The child will count and identify number 1-6. Roll: The child will roll the die. Count: The child will count the number of dots on the die. Cover: They will then find the matching number on the tree and cover that number on the tree with a decoration. Only one number may be covered per roll. If the number rolled does not exist on the tree, the child must roll again. The math game is complete when all of the numbers on the tree are covered with decorations. Fun Math Game Addition Tree: Provide 2 dice for each child. The numbers on the tree must range from 2-12. Have the child roll the dice and count the total number from both. They would then cover the corresponding number. Mixed Addition and Subtraction Math Game: Allow the child to choose which operation they want to use, subtraction or addition, after rolling. Find the sum or difference, then cover the corresponding number on the Christmas Tree. Laminate the tree game board for longer use. We keep our learning games and re-usable Christmas activities in with our Christmas Decorations. These games have been played and enjoyed for many years. This activity can also be sent home with parents as an at-home math activity to reinforce academic concepts. Read Christmas books and search for tree pictures. Download all the printables for these activities here. 7 Christmas tree learning games and activities with easy to follow lessons and a printable worksheet for each. Great for parents, daycare providers, preschool and kindergarten teachers.